Got a photo of a happy child at play? There is nothing quite as special as a child's smile - and the most joyful smiles always seem to emerge when kids are playing. We've got all the facts and figures about why play matters, but perhaps what matters most is that play brings our kids joy. 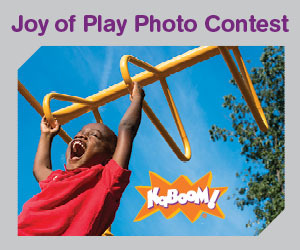 That's why we're hosting our Joy of Play photo contest this fall. Submit your best shot of your joyful child at play and you could win a $500 holiday shopping spree! We want to see those smiles, but we also want to know why your family values play. How does play help your child learn, grow and flourish? How has play helped them discover new things, develop new skills, or make new friends? It's time to spread the joy!